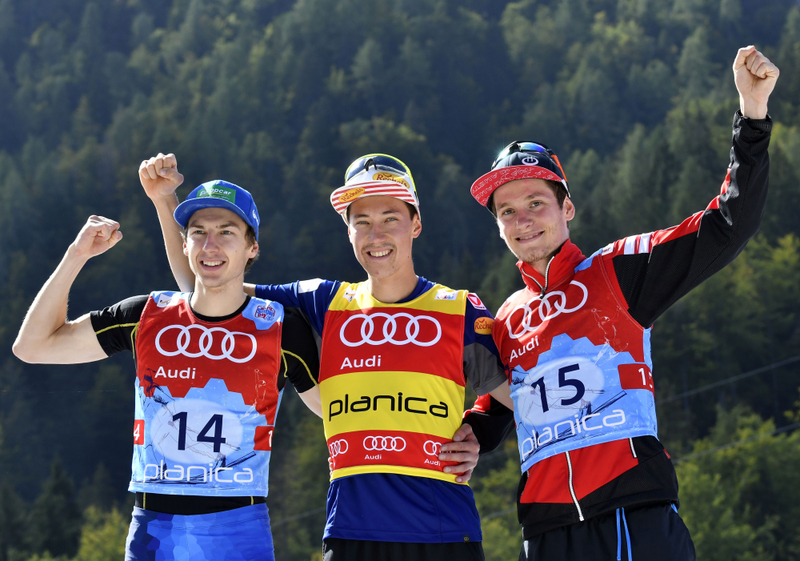 Nordic Combined athletes have concluded this years FIS Summer Grand Prix on the highest level. Mario Seidl is the overall winner and the best home representative Vid Vrhovnik who finished in 11th place today. The last day of this years FIS Nordic Combined Summer Grand Prix was accompanied by pleasant sun rays therefore we’ve witnessed a great race in Planica. There were no surprises at the top after the ski jumping, since Mario Seidl of Austria landed at 141 meters and had a 20 second advantage over Norwegian Espen Bjoernstad. Japanese Aguri Shimizu was third and the only one who could deny Seidl of an overall victory, Finn Ilkka Herola ranked 6th with 131 meters and a 1:23 deficit. Slovenian time has done better than 24 hours ago. Vid Vrhovnik with he’s 130 meters ranked 13th and had a minute and 38 seconds gap behind the leader. After the 10-kilometer run there were no changes at the top and Seidl repeated last years achievement from Norwegian Magnus Moan who won twice in Planica in just as many days. Bjoernstad was second, Shimizu third and Vrhovnik 11th. With that he improved upon the best Slovenian result in the competition. King of summer became Seidl who was the best in points ranking already a year ago but didn’t compete in all of the races. Herola who finished fifth today took the second place in the cup standings and Austrian Martin Fritz the third place.